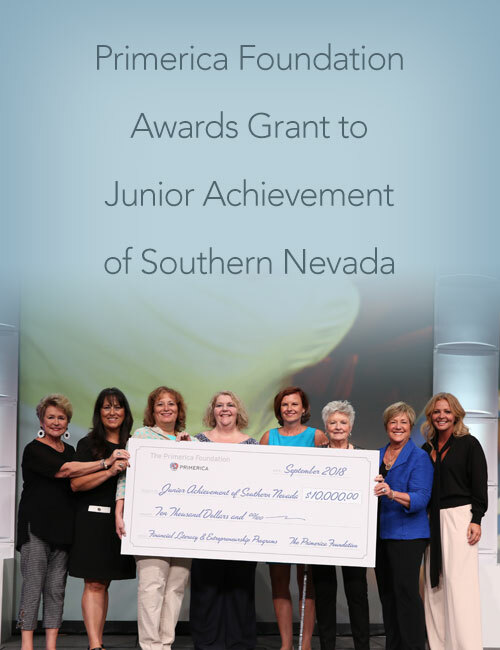 The Primerica Foundation awarded a $10,000 grant to Junior Achievement of Southern Nevada during the recent Women in Primerica Leadership Conference held September 7-9 at the Paris Las Vegas Hotel in Las Vegas, NV. The grant will go to support financial literacy and entrepreneurship programs for Clark County, Nevada children in grades K-12. This entry was posted on Thursday, September 20th, 2018 at 8:00 am	and is filed under Primerica. You can follow any responses to this entry through the RSS 2.0 feed. You can leave a response, or trackback from your own site.